Put that video game on pause! Grab a cuppa and...settle in with the newest title in the Scientists in the Field series. 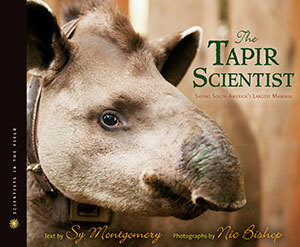 The Tapir Scientist is the latest collaboration of Sy Montgomery and Nic Bishop. This time they travel to the world’s largest freshwater wetlands, known as the Pantanal in Brazil, South America where they meet up with Brazilian Pati Medici and her team of field scientist as they work to save and preserve one of the shyest loners in nature...the lowland tapir. Montgomery gives us a fascinating blow-by-blow account of how these resourceful and determined scientists go about trapping, sedating, placing radio-collars or microchips on these hard to find exotic mammals with the goal of saving them from extinction. (Tapirs are found in other areas of South America and Southeast Asia, but the focus of Pati Medici is on lowland tapir). Despite the heat, ticks, mosquitoes, problems with equipment,and many false alarms, they keep up their spirits. They work hard, tirelessly, and in often difficult terrain, because Medici and the other scientists know that what they are doing is extremely important. Conservationists recognize tapirs as an “umbrella species” - animals who need large amounts of land and often different habitat types. If tapirs are protected, that “umbrella” of protection will safeguard many other species as well. Accompanying Montgomery’s fascinating narrative are the photographs of Nic Bishop. Not only do we see the tapir, but Bishop also captures on film some of the other species who share the Pantanal, especially an anteater. Back matter includes maps, selected bibliography, and index. Another wonderful addition to this great series. Go to Pati Medici’s website for more information about her work. Looks amazing! Will pin and tweet! Interesting read! I would love to find more of this series in the library. 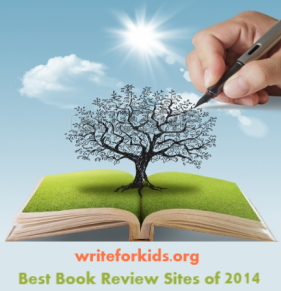 I have read Nic Bishop's Red Eye tree frog, so this one is definitely going on our reading list. 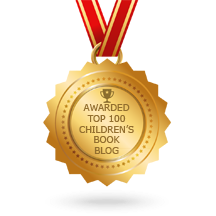 Thanks for sharing on NF MOnday. Nic Bishop and Sy Montgomery make quite a team, and I love the Scientists in the Field series. Add that tapirs are fascinating creatures and this book moves right to top of the list.